1. A senior golden retriever dog won't grow any larger. You see the dog you'll be getting at it's full grown height. 2. You CAN teach an old dog new ricks! Seniors have the attention span and impulse control that makes them easier to train than their youthful counterparts. 3. When you adopt a senior golden retriever, they seem to understand that they've been rescued, and are all the more thankful for you taking them home. 4. Older dogs have learned what "N.O." means. 5. 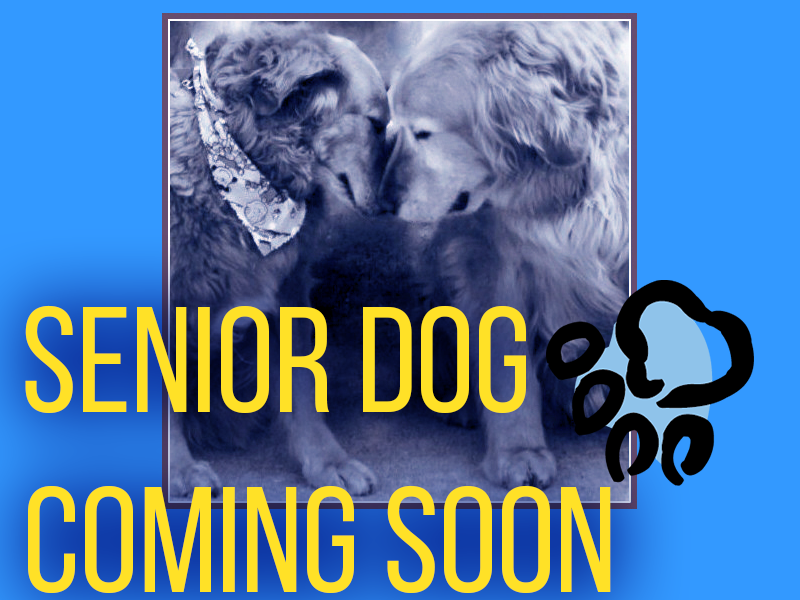 Seniors golden retriever dogs for adoption are often content to just relax in your company. Younger goldens get into mischief because they are bored at times. 6. Seniors let you get a good night's sleep. Puppies do not until they have adjusted, just like new born babies. 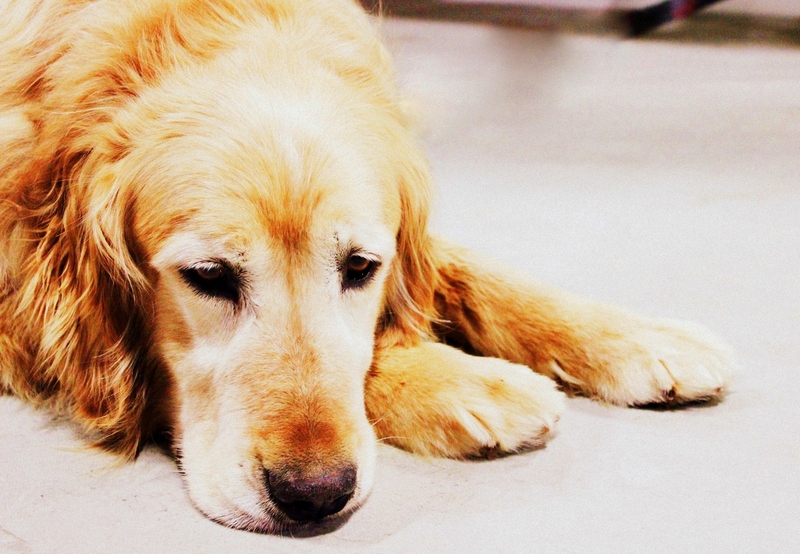 Senior golden retrievers adjust to your schedule easily and don't generally need nighttime feedings, comforting or bathroom breaks (although you might :). 7. 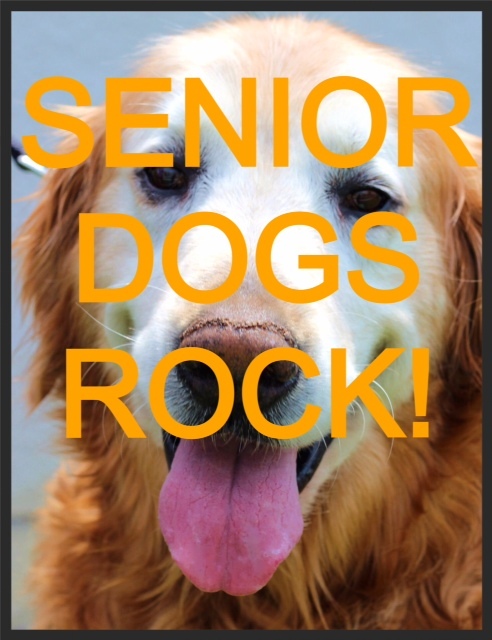 Consider a senior golden for a retiree, verses a new puppy or younger dog with lots of energy. These youngsters will run you ragged. Sure, older dogs require exercise too, but they are not going to need to train for a marathon. 8. Older goldens settle in easily because they've learned what it takes to get along with others and become part of a family pack. 9. Older dogs leave you time for yourself, because they don't make the kinds of demands on your time and attention that younger dogs do. 10. 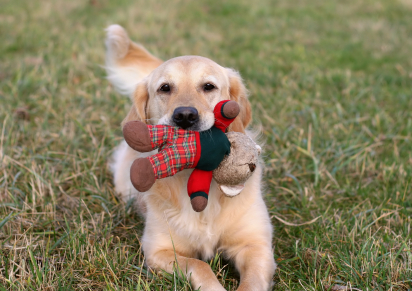 Senior golden retriever dogs are usually already housebroken. Seniors are just overlooked, but they really are the very best possible adoption. They usually come from a divorce or an owner who died. In many cases the reason is that the children have grown, moved away and I guess so must the older golden retriever. 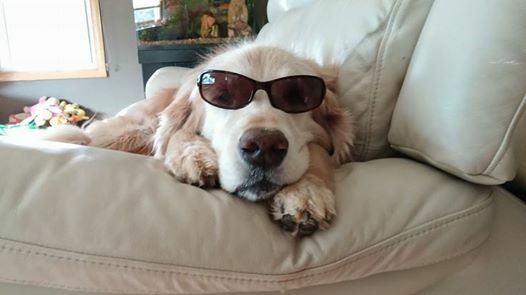 While I could pause here and say many things, I'll just move on to say that there is always room for a senior golden retriever in your heart and home. While we can never guarantee the length of life, you will be rewarded over and over again with the special love these dogs will supply. 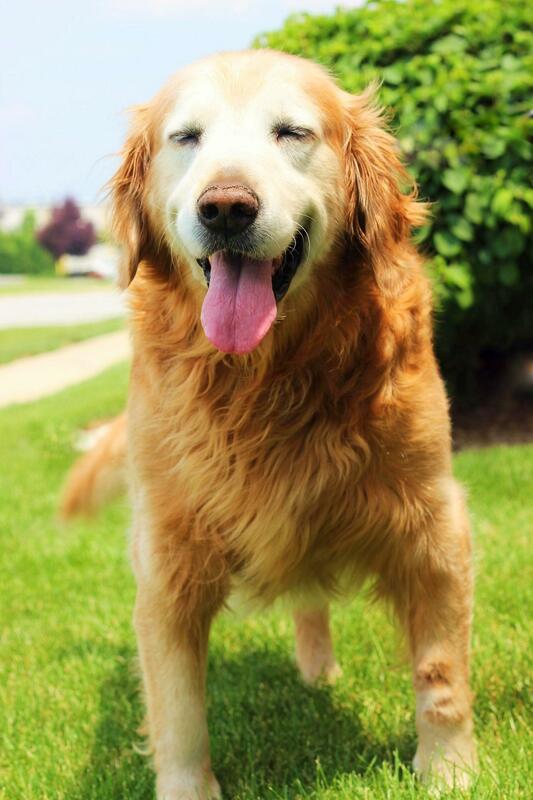 The following are pictures of our current senior golden retriever dogs for adoption. Click on the photograph for more information. Ask about our discounted adoption rate that MAY apply to the forever friend you may want to take home. Thank you for thinking "senior". We have never adopted a senior golden retriever before, always wanting to start fresh with a new puppy. Boy are we glad we adopted our senior golden retriever from GRRR! Our dog was at home the moment she arrived. No muss, no fuss and we've had years of deep love from this wonderful girl, thank you! The joy of adopting a rescued senior golden retriever simply out weighs the shortened time you may have with them. I wouldn't trade my senior golden for the world! 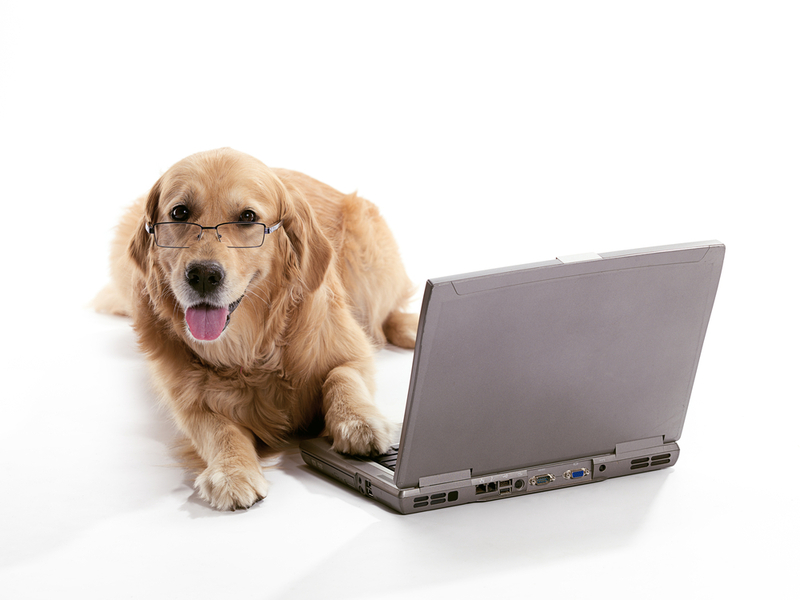 Pawsitively get our latest news and events now! Come play with us daily on Facebook! Facebook is a great way to get updates daily on new dogs we take into our program, as well as all our special events. 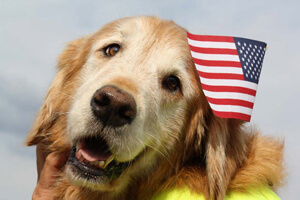 © 2016 Golden Retriever Rescue Resource, Inc.